This week I have reminded myself that I can learn things from books. Yes, I know, “The Most Obvious Statement Ever Made,” etc. I do know. But I was actually reminding myself of something a little bit more specific than the obvious. It was the face that, as a writer, you can learn much about writing from actually reading. Still pretty obvious but it amazes me how many people pursue writing hobbies and careers in the belief that they don’t need to read anything in order to do it. Just reading that sentence makes it seem so silly to me yet I see it quite a bit. Anyway, I’m not here to pontificate – not today anyway. I just want to refer to two novels which I recently finished reading, both of which taught me something useful about my own writing endeavours and, particularly, what I should expect to find within my writing. The two books are ‘The Elegance of The Hedgehog’ by Muriel Barbery and ‘Inheritance’ by Nicholas Shakespeare and, before I say more about them, I need to thank my friends at Castlebar Book Club who put me on to both of these books. I would not have found them by myself and that, for me, is the indispensable value of the book club. Each of these books taught me a lesson which I can take away to my own writing. I’d like to tell you what those two lessons are without getting too deep into either of the two books. 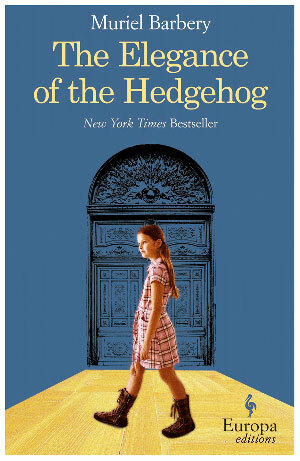 Let’s start with ‘The Elegance of the Hedgehog’ which has the simpler of the two lessons. The book is the story of a Concierge in a Parisian apartment building who hides her intellect and her Aesthete nature from the people she deals with. It is also the story of a young girl who lives in the apartment block – a girl who fully intends to blow herself up. It’s a nice set-up. It is quite heavy on the intellectualising… wait, let me tell you what I learned and that’ll probably say enough about the book. The story sets itself up very quickly, it does this very well. We are only a few pages in when we know the Renee and what is driving her. We know Paloma too, it’s all good. … that’s when I saw why the book had lost me as it did. There was loads of events and opinions-expressed and comings-and-goings but, despite all this, by page 125, the Concierge was still hiding her true nature and the girl was still going to blow herself up. No change. Then, on page 129, a tiny little event happened but this event was different to all the others. It caused change. And then, dear friends, the book took off. So that’s my lesson from this book – happenings and action are not enough to engage the audience/reader, you have to evoke change in your characters. The next book, was ‘Inheritance’ It’s got a great notion behind it, this book. What movie makers would call ‘high concept’ which means you hear the premise described in a few short sentences and you are engaged. The premise here is this; a guy goes to his teacher’s funeral but goes into the wrong crematorium chapel by mistake. As a result of attending the wrong funeral, he inherits seventeen million pounds from the deceased man. See? It’s good innit? Here’s what it taught me. I’m a story-man, me. Story first. This idea of developing characters and then inventing something for them to do… that doesn’t work for my writing. For me, the characters usually grow to suit the story. You see, the first half of this book is all-story. The character, the guy who gets the money, seems to stumble through the story without really showing himself in any interesting way. As with the previous book, the first half of it lost me but, again, the second half won me back. In the second half, the deceased character comes to the fore as his story is told and, boy, he is a real character for sure. With the arrival of this real character, the book comes alive. Taking things a step too far, I now think the author deliberately drew the main character a little bland to then elevate him in the presence of his better-written second character. What I learned then is that 'Story' on its own will not be enough. No matter how good the story is. I have to pay attention to my characters more. Yes, Ken, but the books… are they any good? For me, neither were world-beaters but both have rewarded me for reading them. Give them a go, I’d say. I agree about books giving you pointers on your own writing. I'm reading poetry at the moment because of its distilled honesty and ruthless editing. The point being that you can learn as much from bad writing as you can from good. But if you don't read then you're not going to learn anything, are you? I've always agreed with the wisdom that to learn how to write you have to read. And read a lot more than you write. A lot more. The best writers are usually avid readers. I also agree you can learn from bad writing, by negative example. If nothing else, beginning writers need to read, read, read, so they can learn what mistakes to avoid. I read a heck of a lot more poetry and nonfiction than I do contemporary fiction (especially of the mainstream "literary" sort), much of which frankly leaves me cold. A read a lot of poetry I fee lukewarm about, just to keep abreast of what folks are doing. When I find something that really lights me on fire, I cherish it, and re-read it, and often learn from it. Including how to set you own poems on fire, without necessarily imitating anything. Art: It's important to cherish the great stuff. Otherwise we can get a bit mired in the ordinary.